A blind film score composer finds herself in danger after overhearing a murder. 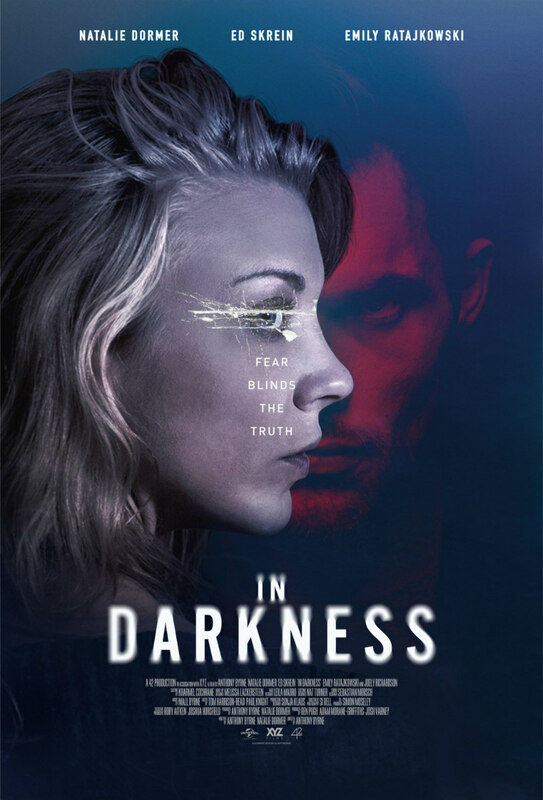 More known for his work in television, Anthony Byrne’s feature debut, In Darkness, is an intriguing yet mightily frustrating film. Starring Natalie Dormer, Ed Skrein and James Cosmo, the movie - in some respects - succeeds at creating an attention-grabbing thriller. That said, its tendency to regularly generate plot twists of a confusing and poorly explained nature really does detract from what could have been. Written by Byrne and Dormer (her debuting script), In Darkness follows Sofia (Dormer), a blind musician in modern London. As a pianist for a film scoring company, Sofia has her own share of daily challenges. These are eloquently portrayed in a Hitchcock-esque manner by way of refined camera shots focussing on trivial tasks, such as buying coffee, and the specifically heightened sound design of these occurrences means that we’re able to understand Sofia’s world the way her other sharpened, finely honed senses do. Sofia lives a settled existence in her own apartment underneath the estranged Veronique (Emily Ratajkowski), the daughter of Radic (Jan Bijvoet), a notorious Bosnian War criminal taking political refuge in Britain. After a struggle ends up in the untimely death of Veronique, a typically Cockney detective named Mills (Neil Maskell) attempts to solve her shifty demise and starts by questioning Sofia. Despite Sofia denying all knowledge of hearing any disturbance - she did! - Veronique’s death opens a Pandora’s Box as more and more details start to surface and Sofia gets dragged into a conflict for which, secretly, she’d always hoped. In Darkness has so much going for it. For one, the film features the decent performances expected to match its cast’s wealth of experience of both the stage and the big screen. Having most likely planned the role to her own liking, Dormer is brilliant in her part, much like the rest of her fellow cast members are in theirs. Additionally, the soundtrack of the film is excellent and acts as a double entendre as it’s cleverly worked into the movie itself. With the plot being centred around a film score musician, Sofia listens and practises her menacing pieces of music, and in doing so, In Darkness is enhanced with another layer of subtle yet well-worked tension. Putting these plus points aside, the real issue of this film is the lack of clarity. While In Darkness does have a certain style to its respectably intriguing beginnings, as the film continues, the script becomes far too busy with sudden, unexplained, new twists and turns to what is unfolding on screen; of course these don’t need to be spelled out to us all the time, but giving some much needed clear-cut context in places during this movie really wouldn’t have gone amiss. Indeed, the story of this film isn’t only unclear, but a number of sequences, which are hardly audible and barely get you through to the next scene in the first-place, build towards a climax which falls flat on its face. From this, it is difficult to look past the fact that Byrne and Dormer manage to derail their potentially brilliant movie with their convoluted plot and genuinely disappointing ending. As a result, although the ride of this thriller is, in parts, an engaging one, this movie is simply a missed opportunity as it unfortunately crosses the fine line between mysteriously engaging plot twists and downright far-fetched ideas. The reality is that not only is this feature’s title particularly apt when referring to the way Sofia has to live her life, but ironically, In Darkness equally applies to the state of mind you’re left in once the credits start to roll. 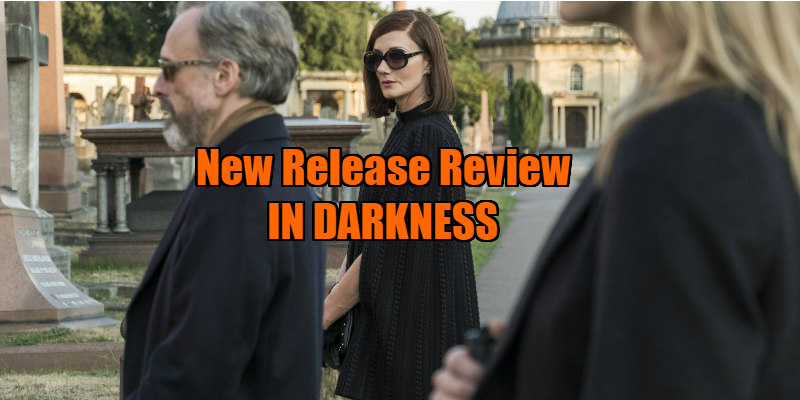 In Darkness is in UK cinemas July 6th.